Please make sure to drain current oil and replace drain cap before flushing oil is used. 1: Remove the fill cap. 2: Add flushing oil until the level is at the half-way mark on the sight glass. Replace fill cap. 3: Run the pump by either opening and closing the lid, or manually pressing the micro switch located at the back right of the chamber. 4: After 15-20 cycles, the pump should be warm and the oil should have been circulated through out. The more cycles ran, the better the oil can flush the moving parts of the pump. 5: If the flushing oil becomes thick or milky during this process, please drain and refill with new flushing oil. 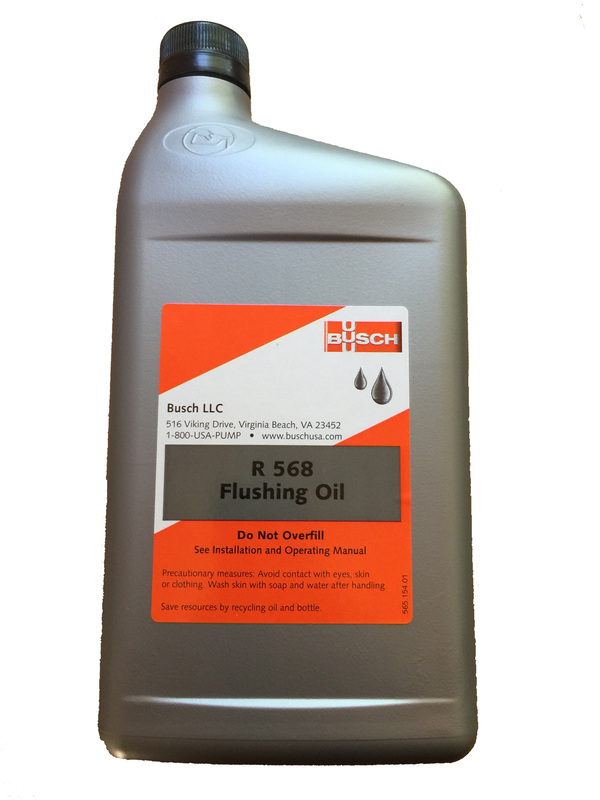 Once the flushing oil that is drained after completing a flush looks similar to the oil that was added, it is more than likely clean. 6: Remove drain plug and drain flushing oil from the pump. Replace drain plug. 7: Remove fill plug and refill with operating oil. Replace fill plug and reassemble.